For many years, tan remains in trend: most of us like darker skin - it seems to be healthier, and tanning also hides a lot of defects, like dilated vessels. But at the same time, the sun's rays are the main cause of pigmentation, which is very difficult to fight. Many beauties are trying to get rid of dark spots, which contrasts with the basic skin tone and therefore are very noticeable. And this is quite achievable, however, the fight against hyperpigmentation should begin in winter, when the sun's activity is minimal. Hyperpigmentation is a skin condition which causes usually small, irregular areas of skin to grow darker in color than an individual's normal complexion tones. It occurs when an excessive amount of melanin, the brown pigment that creates the person's normal skin coloration, forms clusters in the skin. People with all skin types, from dry to oily, are susceptible to hyperpigmentation. Common forms of hyperpigmentation include liver spots (age spots), or solar lentigines, which are caused by sun damage, particularly on the face, hands and arms. Freckles, liver spots and other areas of darkened skin often become more prominent on skin that experiences frequent sun exposure. Darkening of skin tones from the sun's rays takes place due to melanin's absorption of the sun's damaging ultraviolet (UV) rays. 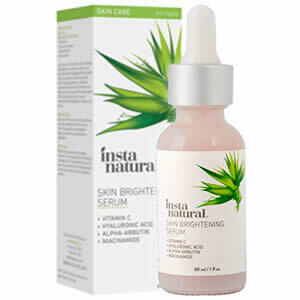 Skin serum ingredients that can lighten skin affected by darkened pigments include 2% Hydroquinone, Alpha Arbutin, Niacinamide, vitamin C, acids and retinoids. The best serums for hyperpigmentation contain these skin-health enhancing components because they nurture and improve normal smoothing and balancing of skin color, promoting the fading of these darkened areas for a return to more evenly toned, vibrant skin. Alpha Arbutin fades prominent hyperpigmentation spots on the skin, giving you more balanced, smooth and vibrant skin tones. The high concentration (2 percent) is much more effective than the one-percent concentrations of the majority of contemporary skin products. This empowering ingredient is strengthened further by a next-generation type of Hyaluronic Acid. Alpha Arbutin has significantly greater strength and effect than either Arbutin or Beta Arbutin. Alpha Arbutin is quite sensitive to deterioration when exposed to water if the pH of the serum formula is not of optimal quality and effectiveness. For this reason, the pH level of this serum is approximately 4.9, the ideal pH count to show a definite, positive decrease in active degradation of Alpha Arbutin. 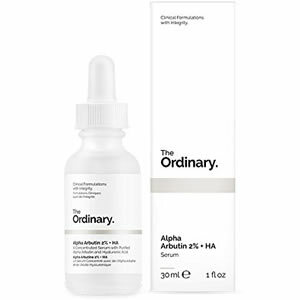 Other ingredients of this very successful pigment-balancing formula from The Ordinary include Aqua (Water), Alpha-Arbutin, Polyacrylate Crosspolymer-6, Hydrolyzed Sodium Hyaluronate, Propanediol, PPG-26-Buteth-26, PEG-40 Hydrogenated Castor Oil, Lactic Acid, Trisodium Ethylenediamine Disuccinate, Ethoxydiglycol, Phenoxyethanol and Chlorphenesin. All of these ingredients act together to promote healthy reduction of hyperpigmentation while nurturing skin cell growth and repair. This advanced serum initiates marked improvements in skin color balancing as it greatly reduces darkened skin patches due to hyperpigmentation. This serum hydrates the skin as it lessens pigmentation variances. All skin-nurturing ingredients of this formula have been shown to nourish multiple skin layers for a clearer complexion and more youthful appearance. This product is a highly active blend of brightening components that balance skin discoloration and uneven tones. While Vitamin C and Alpha-Arbutin begin to reverse hyperpigmentation, Niacinamide and Hyaluronic Acid nurture damaged skin and promote new skin tissue growth. These nutrient-rich ingredients reduce dark skin patches while hydrating the skin, smoothing wrinkles and lines. This product will produce inspiring "before and after" skin profiles. While the powerful antioxidants in this advanced skin serum formula safeguard your skin from UV and free radical damage, repairing darkened skin, Vitamin C reduces sagging or listless skin, helping to sustain your skin's moisture balances. Your skin will acquire a more vital, brightened look and overall glow as the elasticity improves, giving your face and neck a firmer, younger and healthier appearance. All ingredients of this formula are included in the exact percentages to best work together to reduce all signs of hyperpigmentation. This serum absorbs quickly into the skin, leaving your face and bodily skin feeling soft, smooth and thoroughly moisturized. 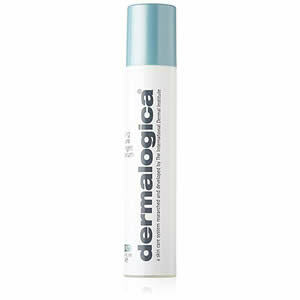 This formula fades dark patches and scars of the skin evenly and rapidly. Every component of this serum has properties that fade dark skin areas and leave your skin feeling plumper and nourished. Some users of this product question the need to combine all these hyperpigmentation improvement ingredients in one serum, wondering if this could cause allergic reactions in some people. Those unwanted lines across your forehead will decrease and even disappear with continued use of this nutritional skin serum. 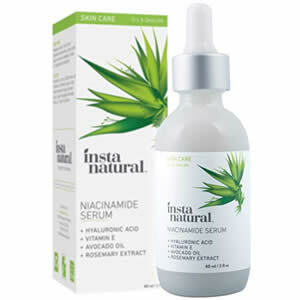 When you apply this active Niacinamide Serum every day, your skin pores will tighten as your skin firms and hydrates. Any wrinkles, puffiness, stubborn fine lines or signs of sagging will be greatly reduced as your skin regains its youthful elasticity and resilience. This serum goes on smoothly and absorbs evenly for equalized nourishment of all skin areas. Users of this formula report better unity of skin coloration and fading dark spots soon after the initial application of this serum. If applied in the morning and again at night, this outstanding product will work continuously, around the clock to give you a clearer complexion with even color tones. Users of this product who have acne or a sensitivity to condomegenic ingredients express some displeasure with this formula, stating that it may clog pores of people with skin breakouts. Some users report that the dropper for the serum bottle is difficult to use. This highly effective serum for treating hyperpigmentation and melasma contains acids that peel away dark spots and blemishes to uncover the glow of brighter skin layers beneath. Most users see definite improvements in skin colors and tonalities within three to four weeks after their initial application of this product. The 2 percent Hydroquinone content of this unique formula increases rates of effective evening of skin coloration and clearing of imperfections. This skin enhancement product contains a greater number of very effective ingredients than many other similar serums and creams. With its ingredients of 2 percent Hydroquinone, Salicylic Acid, Azelaic Acid, Lactic Acid and Vitamin C, first-time users need to use this product just every other day to start seeing good skin improvement results. This is because this serum contains the highest concentrated amounts of Hydroquinone currently permitted without a medical prescription. However, although quite effective in equalizing skin colors and textures, this formula is gentle and will not irritate even overly sensitive skin. This serum is formulated to ensure highest degrees of dark spot fading and skin color balancing possible while treating your skin with gentleness and soothing care. This product can successfully and gently peel and hydrate your skin at the same time. This formula is helpful for teenagers and adults of all ages. Some users of this serum report experiencing a light burning sensation after application of the product to skin. Some customers report initial uneven exfoliation of facial skin with use of this product, which made them uneasy until the process became more complete. This empowering skin serum offers a strongly active, synergistic blend of 15 percent pure Vitamin C (L-ascorbid acid), 1 percent Vitamin E (alpha tocopherol) and 0.5 percent Ferulic Acid to protect your skin from free radical damage and the effects of aging. Vitamin C acts to neutralize any free radicals resulting from UVA/UVB exposure, infrared radiation (IRA) or ozone pollutants (O3). 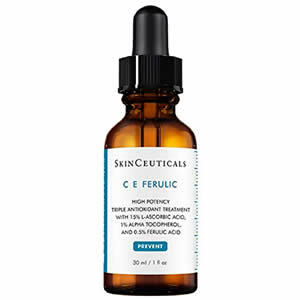 At the same time, C E Ferulic Acid decreases aging signs and smooths skin lines, sags and wrinkles. With regular use of this rich, nutritional formula, your skin will be firmer and your complexion will brighten. After it is fully absorbed, the Vitamin C ingredient keeps this product effectively working to improve your skin color and texture for at least 72 hours. This healthy skin serum will hydrate your skin evenly. 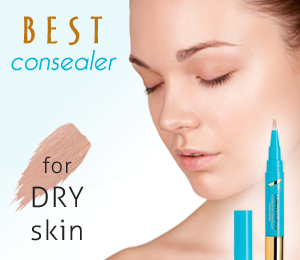 It is free of paraben content and an excellent choice for use of all skin types. Some users of this formula report the disappearance of crow's feet around the eyes overnight when the serum is applied right before going to sleep. Many customers report their surprise at the rapid improvement in their skin tones and textures when first using this serum, as dark skin areas faded and skin grew tighter and more refined. Some customers report that this serum can oxidize after the bottle is opened, turning dark yellow in color, which concerns them. Some customers who ordered this formula report that it arrived in an opened box or just in a plastic bag that was not securely closed. This refreshing topical skin treatment is very active and lightweight, making it easy to apply prior to putting on makeup. It works to counteract effects of hyperpigmentation and smooths fine lines and wrinkles, especially surrounding the eyes and mouth. This innovative formula offers fast absorption for the most effective skin improvements. Its ingredients include a rare blend of Oligopeptides, phytic acid extracted from rice, the antioxidant zinc glycinate and red/brown algae, all of which help control pigment (melanin) generation. This formula contains no artificial colors or fragrances, and it is paraben-free. It will add luminosity and elasticity to your skin while brightening and equalizing your skin color. As it clarifies your skin, this product will lessen all signs of hyperpigmentation. With daily use of this fresh, light formula, your skin will look and feel more youthful, refined and rejuvenated, displaying renewed clarity and vitality. Some delighted users of this serum report remarkable brightening and firming of skin after a few applications of this formula. Some new users of this product are intrigued by the rare blend of pure ingredients in its formula. Some customers with severe hyperpigmentation or acne scars report being disappointed with the lack of good results they experienced when using this serum. A few new users of this product state that they do not feel that they are getting their money's worth from use of this serum. 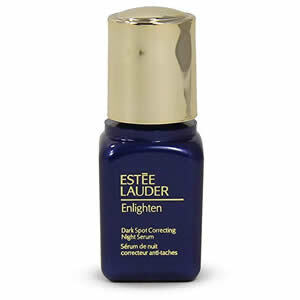 This nutrient-enriched night and day cream from Estée Lauder will advance your skin enhancement to a higher level of quality. It will balance uneven skin tones, giving your skin a renewed, refreshed appearance with excellent hydration. Texture and tone of even the most sensitive skin will improve rapidly with regular use of this serum. This formula is designed to tighten and refine skin while diminishing all dark spots and unbalanced coloration of your skin. Primary ingredients of this skin-health enhancement product include Dimethicone; Isododecane; Polysilicone-11; Butylene Glycol; Ascorbyl Glucoside; Peg-10 Dimethicone; Curcuma Longa (Turmeric) Root Extract; Morus Bombycis (Mulberry) Root Extract; Gentiana Lutea (Gentian) Root Extract; and Cucumis Sativus (Cucumber) Fruit Extract. This advanced formula will reduce all signs of hyperpigmentation while giving you a clearer, more radiant complexion. Some users of this serum report seeing new skin improvements every day. Some users who express enthusiasm at the diminishing of dark spots and uneven color tones in their skin say they are recommending this serum to all of their friends. Some customers report seeing no major differences in the severity of their age spots, freckles or other skin discolorations after using this product for at least a month. This powerful and soothing serum is formulated with active ingredients that are derived from natural sources and work to correct uneven skin tones and dark skin patches. This product's enriching components include Ferulic Acid and Retinol, both of which have been shown repeatedly to reduce the hyperactive generation of pigment in the skin. This serum's healthy blend of ingredients works to even skin color imperfections caused by aging, hormonal changes and all types of hyperpigmentation. This formula offers fast, even absorption and improved color, tone and texture for all skin types. 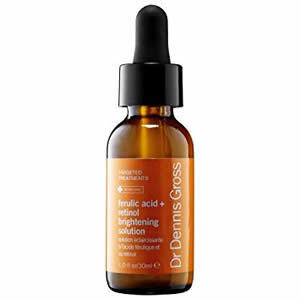 This specialized formula repairs the signs of aging and sun damage with its highly effective ingredients of Ferulic Acid and Retinol. It acts to fade any dark skin spots and scars with the aid of Azelaic Amino Acid and Bearberry. This product also tightens pores and refreshes skin elasticity with the help of Salicylic Acid and Willow Bar. This serum is attractive to some customers because of its active ingredients of Ferulic Acid and Retinol. This serum formula pleases some shoppers due to its inclusion of certain pure, organic components that they are comfortable with using on their skin. This serum has a mild iron (ferrous) aroma, which some new users find slightly annoying. When shopping for your favorite among the best serums for hyperpigmentation currently on the cosmetic skin enhancement products market, you will discover myriad brands and formulas that offer multiple valuable benefits. Whether your main desire is to reduce dark skin patches and equalize your overall skin tone or to clarify, smooth and refine your skin, there are products designed to accomplish these goals. Before selecting your ideal skin serum for correcting discolorations and improving all aspects of skin quality, be sure to examine the ingredients and effects of each different serum. Afterward, you will be prepared to choose your favorite skin enhancement serum with confidence, knowing that it is formulated to meet your highest expectations for clear, smooth, youthful skin while satisfying your every preference and need as an advanced skin revitalizing product.